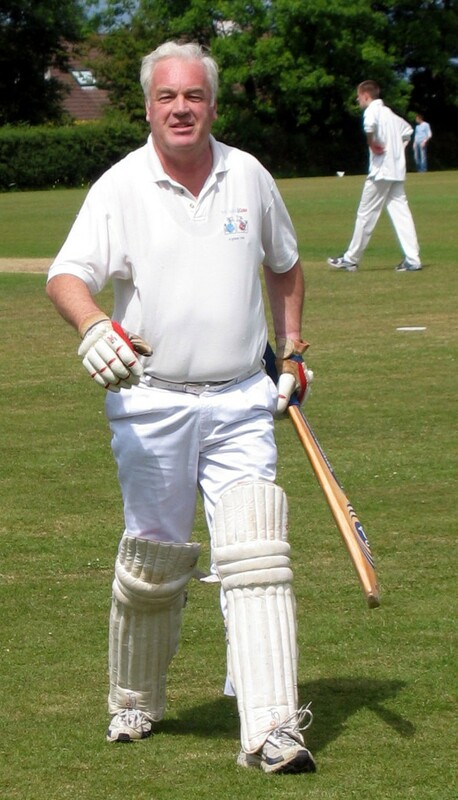 The Munster Cricket Union is sad to learn of the death on 18th November of Denis J. Moylan of Tralee. Denis was stalwart of County Kerry Cricket Club from its foundation in 1987, and was a past President of the Club. He was President of the MCU in 1993 and 1994 and served on MCU Committees for some years. Born in Kilkenny, he was an employee of the Bank of Ireland until his retirement and served in various locations throughout Munster, including Lismore, Limerick and Tralee, where he combined playing cricket with his banking career. In addition to his lifelong love for cricket, which he played up to 2009, he was also an accomplished pianist, performing in many far and distant places. Munster Cricket would like to express its sincere sympathy his wife Noël, his daughters Adrienne and Katie, his son John, his sisters Pauline and Jane, grandchildren and his relatives and friends. We should also wish to express our sympathy to Blanche Rutland, President, Dave Ramsay, Chairman, Gordon Revington, Vice-President, and his many other colleagues and friends in Co. Kerry C.C. who shall miss the companionship, encouragement and support he gave during his career with them over the years. Denis shall be reposing at the Gleasure Funeral Home on Saturday (19th November) from 4.30 to 7pm followed by his removal to St. John's Church, Tralee. Requiem Mass shall be offered for him on Sunday 20th at 12 noon, followed by a private internment. Denis Moylan, who served as President of the Munster Cricket Union for the 1993 and 1994 seasons, passed away peacefully after a difficult period of illness at his home in Tralee on Friday. Originally from Kilkenny, Denis joined the Bank of Ireland in Tralee in the early 1960s and was to spend most of his career in Kerry. His enduring love of cricket began at an early age and he used to tell a wonderful story about his days in digs in Tralee with an elderly landlady who was a bit hard of hearing. In 1988, he was delighted to learn that cricket was being revived in the town, over 30 years since the last manifestation of the game, and quickly put his hand into his pocket to get started. He opened the batting when County Kerry played its first Minor League game in Lismore in 1989, the year in which he first acted as President of the club. In 1992, he captained the club, leading the side to victory over County Galway to win the Munster Senior Shield and defeat to Limerick in the Junior Cup final. But he was there when this matter was rectified the following season against UCC while the Shield was retained. In 2000, he captained the third team to victory in the Minor Cup against Presentation College and also aided the junior side to the Division 2 title. He was the Player of the Year with County Kerry in the 1997 season and won another Minor Cup and Division III medal in 2003. Following his retirement, he continued to serve as an administrator and benefactor of the club and was delighted when the new ground at The Spa – not far from his home – became a reality. Although he was debilitated by his illness this summer, he called in to see the club in action and meet former colleagues and opponents. As a player, Denis was a left-hander with considerable strength who was particularly adept at scoring on the leg side. His very slow but malevolent spin was useful when opposing batsmen were inclined to be too stubborn too. His top score was an unbeaten 113 against Waterford Vikings in Division II in 1996 and he was the first player to notch a half-century, in the return game with Lismore in 1989. He leaves his loving family, wife Noelle, his children Adrienne, John and Katie, grandchildren, his sisters Pauline and Jane, daughter-in-law, sons-in-law, sister-in-law, brothers-in-law, nephews, nieces, relatives and many friends.